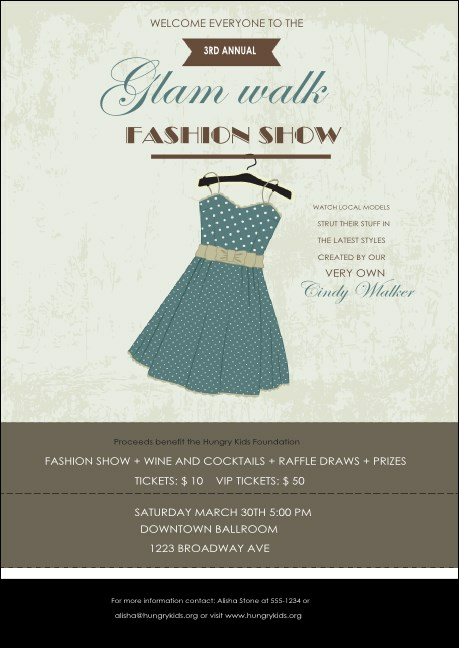 Add some texture to your event marketing when you pass out the Fashion Show Club Flyer before your next event. This delightful design features a pretty blue polka dot dress on a hanger, with soft tones throughout. Add your event details to the easy template below! Big things can come in small packages! Say it with a club flyer from TicketPrinting.com.